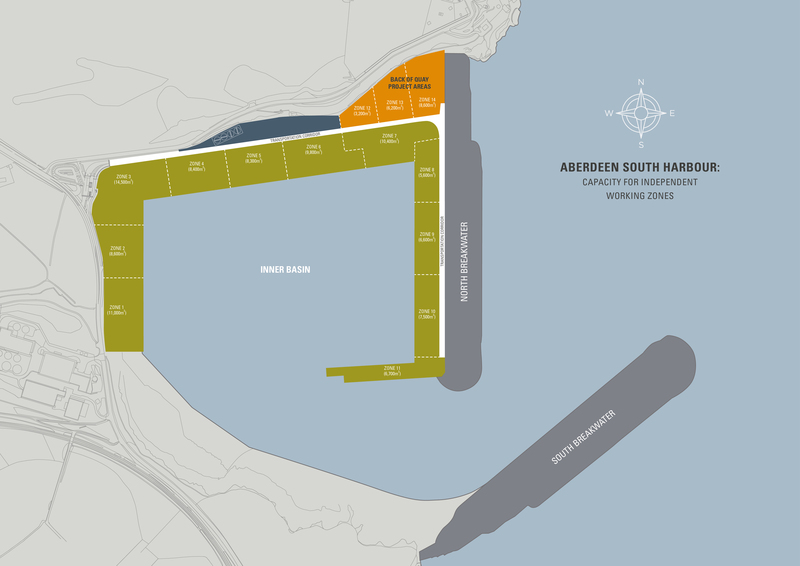 On completion, Aberdeen South Harbour will represent a step change in the marine support facilities available in Scotland. The expansion will provide 1,400 metres of quay at water depths of up to 10.5 metres (LAT), with a turning circle of 300 metres and a channel width of 165 metres. The quayside is designed to accommodate the greatest range of activity possible, to provide our customers with flexibility and opportunity. 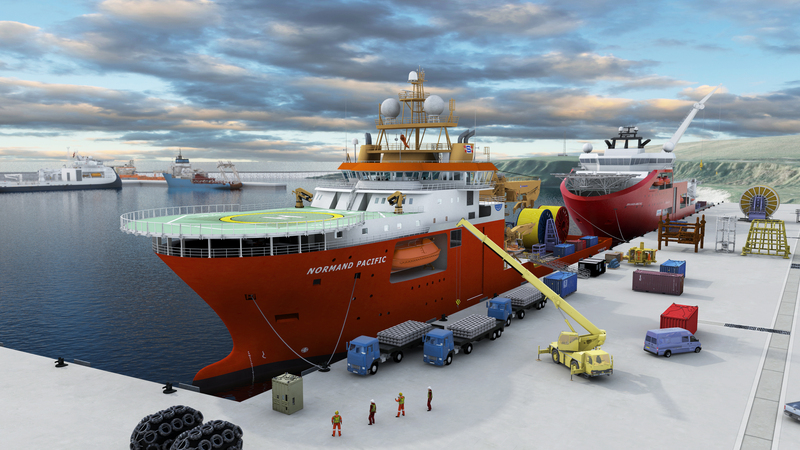 The loading capacity of the quays is considerable, and it is estimated that the port can accommodate a transfer load of 6,000 tonnes plus (higher load capacities will be accommodated via engineered solutions). 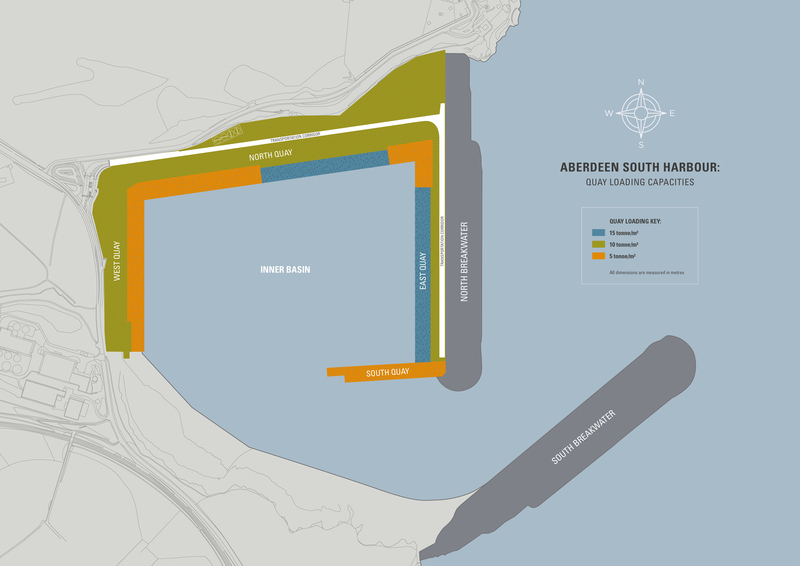 Aberdeen South Harbour has been designed to allow segregated project areas to be easily established. The state-of-the-art drainage system, incorporating installed interceptors, allows work, such as resizing operations, to be isolated in controlled working areas.